onstruction flowers, the answer to a kitchen under renovations. 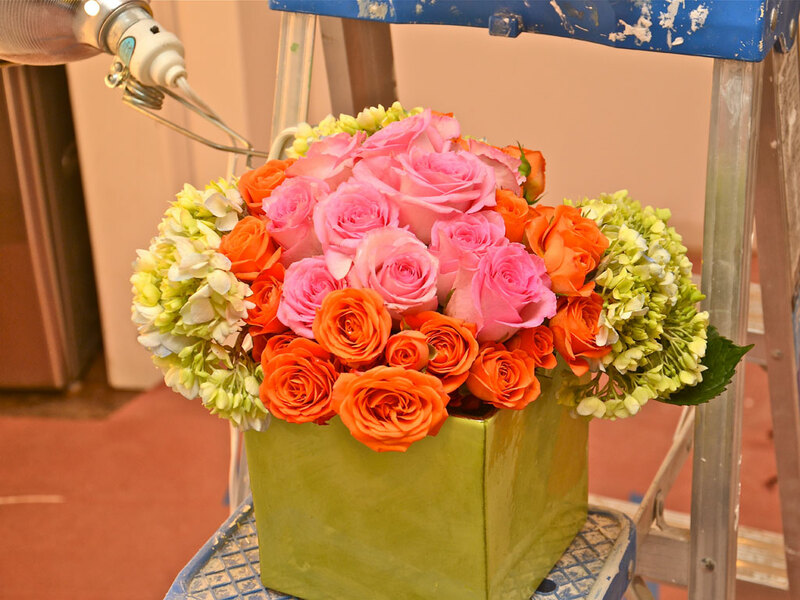 I wanted pink roses–of course–but I just couldn’t resist these tangerine lovelies, too. The hydrangeas were used to add texture to the apron, but it still needed just a little pop of Spring green. I found this green cube in my dining room—one of the few things not packed away before the construction project began—but it had a hole in the bottom. Chick-fil-A cup to the rescue! Enjoy grocery store flowers today. Beautiful! I love fresh flowers. Happy weekend to you! You are always so creative and positive! Love the spring green!